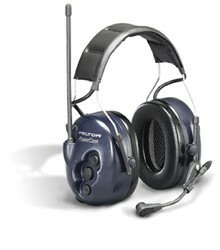 psicompany.com is proud to bring you 3M Peltor, a world leader in the field of communication equipment. Over 50 years of developing and manufacturing hearing protectors has put them at the forefront of safety, comfort, and aesthetics. Peltor was created in a spirit of inventiveness and entrepreneurship, and this spirit is still very much present in the organization today. As a part of the international 3M corporation, Peltor has access to the best resources in research and development for industries such as manufacturing, the military, aviation, forestry, agriculture, and motor sports.